Westminster City Council will this afternoon change the name of Bolsover Street to Great Titchmarsh Street after a tree planting ceremony that will take place this lunchtime. Another "Great Street" will join Great Portland Street and Great Titchfield Street today as Bolsover Street will be officially re-named Great Titchmarsh Street. 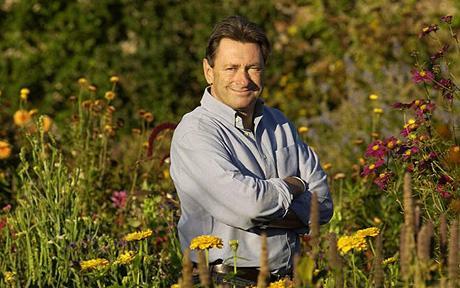 The broadcaster, gardener and novelist Alan Titchmarsh will plant an Elm tree at 45 Bolsover Street at 1.30pm this afternoon. The Lord Mayor of Westminster, councillor Judith Warner will then unveil new street signs in honour of Alan Titchmarsh MBE who has kindly agreed to help green the streets as part of the W1W Tree Planting Initiative. There will be a total of 48 trees planted in Great Titchmarsh Street. The event will also mark the launch of NHS Forest’s London Campaign and the return of elm trees to Bolsover Street as part of the Ulmus Londinium Project. 160 trees have recently been planted on the streets of Marylebone and the organiser of the project is now launching the W1T Tree Planting Initiative which will bring an urban forest into parts of Fitzrovia. The name Bolsover has never been popular with local people who felt the name to be “too dreary” and attracted anti-social behaviour. Re-branding the street after the likeable broadcaster received overwhelming support in a recent consultation carried out by City of Westminster. Very good story!! May be cheaper for everyone if we instead changed Great Titchfield Street to Great Titchmarsh Street. This might as well be true. Westminster – a short while ago – wrongly named this very street “BOLSVER” on its street-sign plaque adjacent to New Cavendish Street. The derisory plaque remained in place for months before Westminster corrected it.